A new solar panel product that will reduce costs by as much as 10% is expected to go into production by the end of the year under an agreement reached with the world's largest renewable energy company. SunEdison Inc., which operates its solar headquarters in Belmont, Calif., plans to begin production of a component that will increase the efficiency of solar panels by the end of the year. The solar panel module is expected to reduce total residential costs by about 10%, commercial costs by about 8% and utility scale costs by about 6%. The component, created by Fremont, Calif.,-based company, Solaria Corp., will reduce costs because it makes solar panels more efficient. The module increases output of solar panels by 15%, the company said. As a result, home, business or utility-scale solar projects will require fewer solar panels to produce the same amount of electricity and require less labor, wiring and materials. "What we can do is make the solar industry 5% to 10% more cost effective," said Suvi Sharma, Solaria's chief executive. Solar panels make up about 20% of the cost of solar installations. Panels now cost 50 to 60 cents a watt to make, compared to $2 to $3 a watt just five years ago. Solaria's technology reduces the amount of wasted space in the panels. "These new modules are our most efficient yet, and are ideally suited for homes and businesses where space is limited," said Bang Nguyen, SunEdison's vice president of solar materials operations. 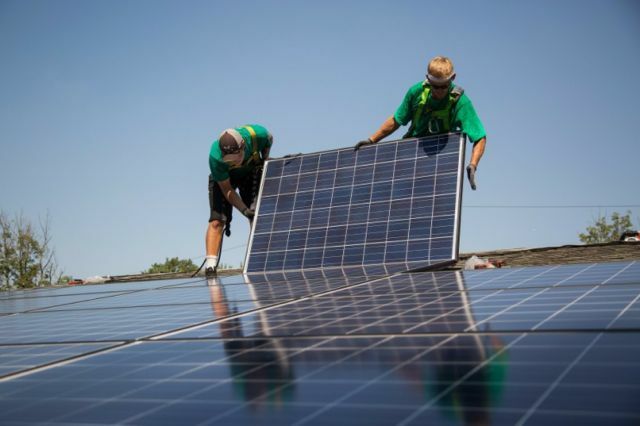 SolarCity announced this month that had built a high-efficiency panel that the company says will generate more power per square foot and harvest more energy than any other on the market. Sharma said the SolarCity panel is a more costly technology, while his company's product will help the broader market reduce costs.